The communication of the diocese informs that the solemn session for the closure of the Diocesan Inquiry of the Process for the Beatification and Canonization of the servant of God Lucia de Jesus will take place on the 13th of February, in the Carmel de Santa Teresa, in Coimbra. “The Diocesan inquiry gathers all of Sister Lucia’s writings, the testimonies of the (60) witnesses heard on the fame of holiness and heroic virtues” of the Servant of God. After the Closing Session, all of the collected material will be handed to the Congregation for the Causes of the Saints, in Rome, which will give an adequate follow-up, according to the norms established by the Church. In a declaration to the Press Room of the Shrine, the rector, Fr. Carlos Cabecinhas, said that he received the news with “great joy” and that this joy “makes the Shrine and its pilgrims responsible concerning their primary task: prayer”. “The challenge that I leave for everyone is that you all pray for the process to reach its end as fast as possible”, said the rector of the Shrine of Fatima, stating that “we are all aware of the importance of Sister Lucia, the seer that lived more years; her fame of holiness and what is expected is that we may support with our prayer a complex process but which we are certain that it will get good reception”. In a declaration to the Press Room of the Shrine of Fatima, the vice-postulator for the cause of canonization of Sister Lucia also stated that the process took some years because of the “quantity of documents left and the need to work on them very well”. 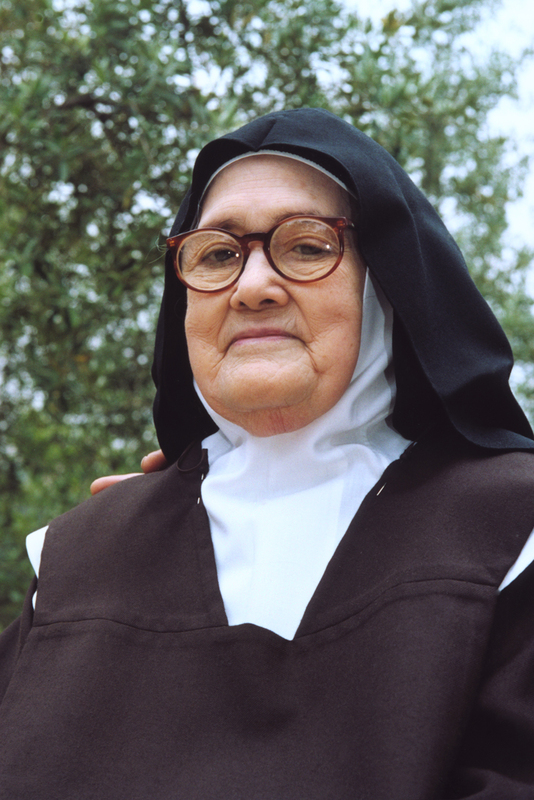 “Each page that Sister Lucia wrote had to be meticulously analysed and we are talking of a universe of 10 thousand letters that we managed to gather and of a diary with 2000 pages, in addition to other more personal texts”, said Sister Ângela Coelho, who is also postulator for the cause of canonization of blessed Francisco and Jacinta Marto, the brothers who, together with Lucia, according to the testimony recognised by the Catholic Church, witnessed the apparitions of the Virgin Mary in Cova da Iria, between May and October 1917. According to the vice-postulator, the process for the beatification of Sister Lucia has to take into account the fact that we are dealing with “a woman who lived almost 98 years, who corresponded with Popes, since Pius XII to John Paul II, with cardinals” and with many other people. “Analysing all this takes its time to offer the necessary rigor for cases such as this one”, she stated underlining also several witnesses who have been heard. “I am, therefore, very happy with the conclusion of this stage”, she said pointing out that “the fame of holiness and the fame of signs in Sister Lucia are very consistent”. In this diocesan stage, around 30 people worked full time, 18 of them theologians and 8 belonging to the historic commission. She was one of the three children who witnessed six apparitions of Our Lady in Cova da Iria, between May and October 1917, according to their reports, which are recognised by the Catholic Church. The right to investigate the life, virtues and fame of holiness, adducted miracles, the ancient cult of the person whose canonization is being asked, belongs to diocesan bishops. This information is sent to the Holy See: if the analysis of these documents is positive, the “servant of God” is proclaimed “venerable”. The blessed is proclaimed saint, when after the beatification there is another miracle duly recognised. The canonization, an act reserved to the Pope, is a confirmation by the Church that a catholic faithful is worth of universal public cult (in the case of the blessed, the cult is diocesan) and of being given to the believers as an intercessor and model of holiness. The Closing Session, open to the participation of the faithful, which takes place in the Carmel of Santa Teresa, in Coimbra, on the 13th of February, will begin at 5:00 pm with the Closing Session, followed by a Mass of Thanksgiving. In the evening, at around 9:30 pm, there will be the concert “My way”, with the Lisbon Cantata Symphonic Choir, the Children’s Choir of the Coimbra Regional Conservatory and the Classic Orchestra of the Center, in the New See of Coimbra.